There are some country music singers who don’t fit the persona of a typical constantly outraged Hollywood liberal elitist. They are notoriously not bogged down in a public perception that screams spoiled multimillionaire who complains about all the trials and tribulations of being a famous celebrity. Largely, country is filled with people who despise that lifestyle. And that’s the case with a country music legend’s latest song release. Who are the great country music legends? You might go with Garth Brooks or a new age Chris Stapleton. Where does George Strait fall in line (pun intended)? Strait is one of Country music’s biggest icons with a Grammy award nominated track record that spans decades. He finally received his first win in 2009 with Best Album for Troubadour and he also became the ACM artist of the decade in that same year. You already know of his accolades. Well Strait just released new music off his forthcoming album, Honky Tonk Time Machine, and one of the songs “The Weight of the Badge” explicitly glorifies our hard working police officers. The ballad revolves around a police officer who consistently puts his life in harms way to protect his community while growing tiresome of the demand it puts on his body. A tribute to all of the men and women in uniform. Pre-order 'Honky Tonk Time Machine' now and get this new song "The Weight Of The Badge" + 4 more tracks instantly! He’s right. Police officers tirelessly put their lives on the line for us and some of us are ungrateful to them. Yet they do it anyway. 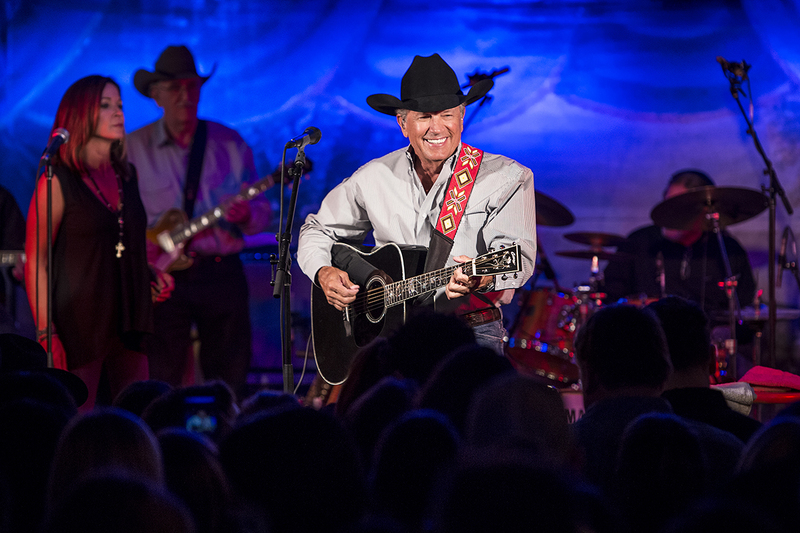 Strait performed the song during the February run of his Las Vegas show, “Strait to Vegas.” You have to admit that’s a clever pun. You can tell that bringing back the old country is what he thinks might be missing from country music and entertainment in general. Why can’t we celebrate law enforcement more? It’s nice that although this character is fictitious, you very well know someone who fits this profile. Police officers grind it out every single day sometimes without appreciation from the public. Unfortunately, many of them are shamed for having that job. It can be harrowing for them and we should be empathetic towards them and the incredible job they do every day. Honky Tonk Time Machine is set for release on March 29. Strait announced another pair of dates for his Vegas show on Dec. 6 and 7, in addition to shows on Aug. 23 and 24.